Lytham & St.Annes on the Sea Lancashire - Local History - Arnold School Advert 1899 South Shore Collegiate School, Alexandra Road, Blackpool. 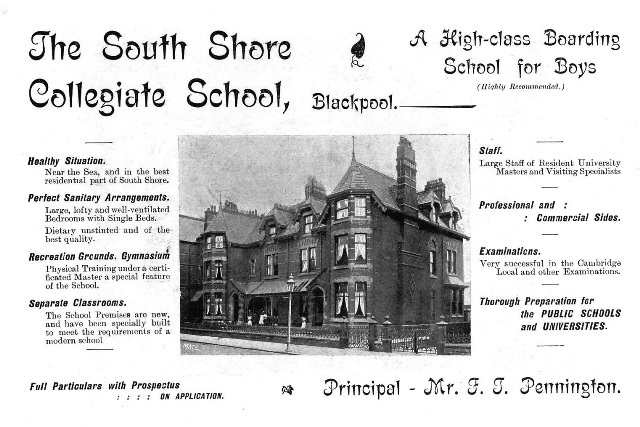 South Shore Collegiate School, Alexandra Road, Blackpool c1898. This school moved to Lytham Road and later became known as Arnold House School.